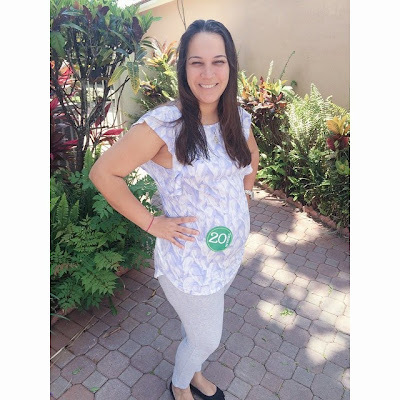 Here's another pregnancy update, long overdue since my last one was over 7 weeks ago! This pregnancy really is flying by although I'm sure now that I've reached the halfway mark time will magically slow down and it will drag on... LOL! I am happy to report that the pregnancy has been rather uneventful; it is progressing as it should and with the exception of an evil stomach bug that I somehow caught from the girls and the occasional back pain, I feel great for the most part. I see my doctor for boring appointments every 4 weeks and have gained a total of 3 lbs in the first 20 weeks of this journey which is quite an accomplishment considering my past weight gain with the previous 2 pregnancies and the fact that I was grossly overweight when I surprisingly turned up pregnant! Here's my 20 week belly picture; I think my belly shrunk after the weight I probably lost with the stomach bug.. thankfully it lasted "only" 2 days, otherwise I probably would have ended up in the hospital getting IV fluids! Praise God for his healing hand! We have made a few purchases for the baby, mostly clothes and a few other accessories and it is now getting more real that we are having another baby. I will admit I've had a hard time getting "attached" to the pregnancy and as much as I know I will love our son with all my heart, it has taken me some time to love the idea. I know this is a very normal and valid feeling but sometimes I can't help but feel guilty about the fact that I'm not overjoyed at the premise of growing our family. My plan for the next twenty weeks is to continue to take advantage of this "smooth sailing" (God willing) and do as much as I can to get ready for baby, both physically and emotionally. I will update again in a few weeks! Thanks to everyone who is constantly checking on the baby and I; we are so lucky to have such wonderful friends and family! 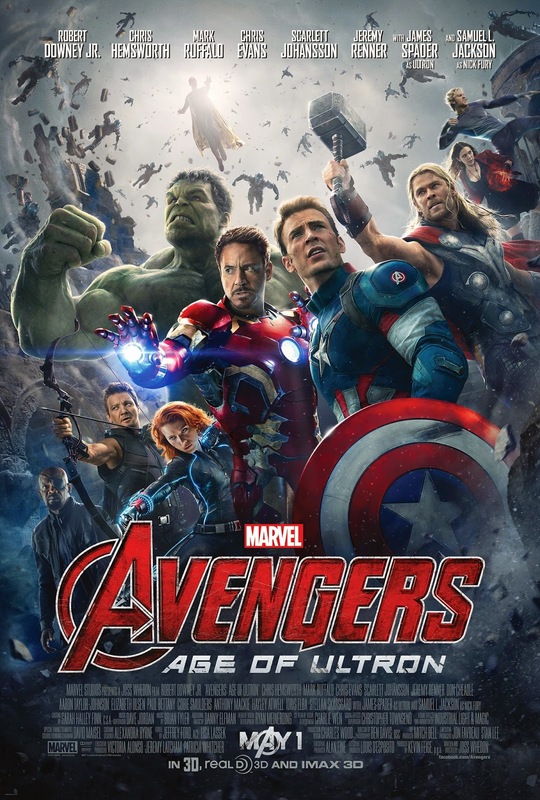 Movie Review: "Avengers: Age of Ultron"
The movie is overpacked with action sequences that don't always flow well; some of them lacked connection with the plot, which was incredibly dense and lame at the same time. There was definitely a waste of special effects going and during some parts of the movie I almost wished the characters would "chill out" a bit. I also felt like the characters had no depth at all and the "team" concept was really lacking; there is no exploration of character storyline (except for Hawkeye's family life) and even the strange romance between the Hulk and Black Widow was silly fluff to the movie. But my biggest issue with this movie is the fact that not even the villain was memorable enough to make an impact on the viewer and the idea that artificial intelligence somehow always reigns over its human creator has been done too many times and I found it incredibly boring. The movie drags on and the fight scenes are too repetitive and even pointless; it is way too long and not worth all that time. The new characters lack versatility and even the "well known" Avengers fall flat in this installment. Sadly, this movie probably gets 1 out of 4 stars from me; I did not enjoy it and I actually thought of walking out a few times. Hats off to all the true Avengers fan who are loyal to the franchise no matter what... this one was painful!